With the introduction of Rhenomark® MP, a tread marking ink, Rhein Chemie has made an ideal addition to its solutions for the tire industry. Rhenomark® MP is an ink applied to the tread of a tire as a visible color code and serves labeling purposes. Like Rhein Chemie’s Rhenodiv® release agents, Rhenomark® is water-based and therefore environmentally friendly. The most important properties for the users of such inks are color brilliance and high covering power, the viscosity of the ink, and a short drying time. Cost-effectiveness is dependent on these criteria being met. 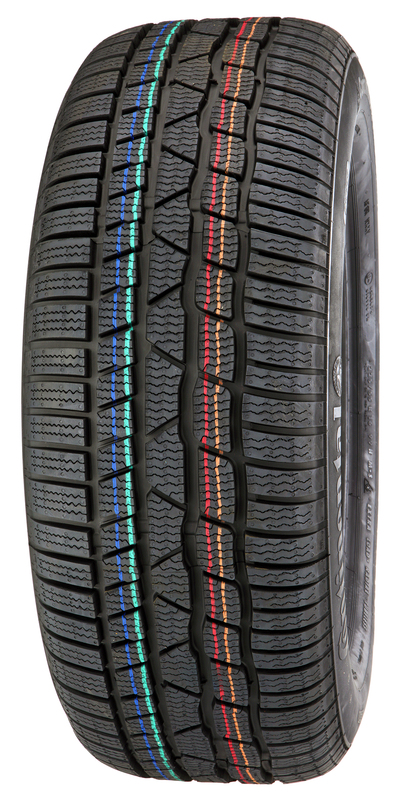 In addition, brilliant, high-grade tire markings signalize a high tire quality for the end customer. “The very short drying time of Rhenomark® MP is a pioneering development for a water-based product,” says Frank Lueckgen, Executive Vice President Rubber Division at Rhein Chemie, adding: “As a result, tire plants can substitute solvent-based products with Rhenomark® MP without changing their production processes.” The ink is free from heavy metal-based pigments. Rhenomark®’s high color brilliance, covering power and bonding strength make it possible to perform error-free laser scans of color codes on extruded green tire treads during the production process. The ink also significantly simplifies manual handling of the green tires and, later, of the vulcanized tires. In addition, the product’s high bonding strength and water resistance ensure that the paint sticks perfectly to the tire tread. Rhenomark® MP’s particular feature is that it enables tire manufacturers to achieve the same level of performance as with solvent-based tread marking inks, allowing them to shift to an environmentally friendly solution without suffering economic disadvantages. Worldwide, many products are still used that are based on solvents. Some countries, Germany and Japan included, have committed to reducing solvent emissions, since volatile organic compounds (VOC) are partly responsible for the formation of environmentally harmful ozone in the troposphere. Reductions of VOC emissions in production plants help to improve safety in the workplace. For example, a mid-size tire manufacturing plant producing 10 million tires will consume approximately 10 tons of tread marking inks per year. Estimating a dry content of 25 percent, this means that 7.5 tons of hydrocarbons will evaporate at the workplace. Therefore an internal commitment of a tire plant to reduce the total VOC by 70 percent or more demands the replacement of solvent-based tread marking inks. “We are increasingly receiving inquiries from rubber processors regarding a change from solvent-based products to water-based ones,” says Dr. Anno Borkowsky, CEO & President of Rhein Chemie.This can be a difficult proposition, especially in ongoing series production, since the production process and quality have to remain at a constant level. “Our experts can provide the customer with the necessary assistance during such a change. They have the technical expertise and the requisite experience in the introduction of water-based products. This facilitates a solution which is both cost-effective and environmentally friendly,” he explains. Rhein Chemie serves the tire industry with a broad portfolio, including accelerators, standard and special curing agents, anti sun-check waxes, processing promoters, release agents and tire marking inks.